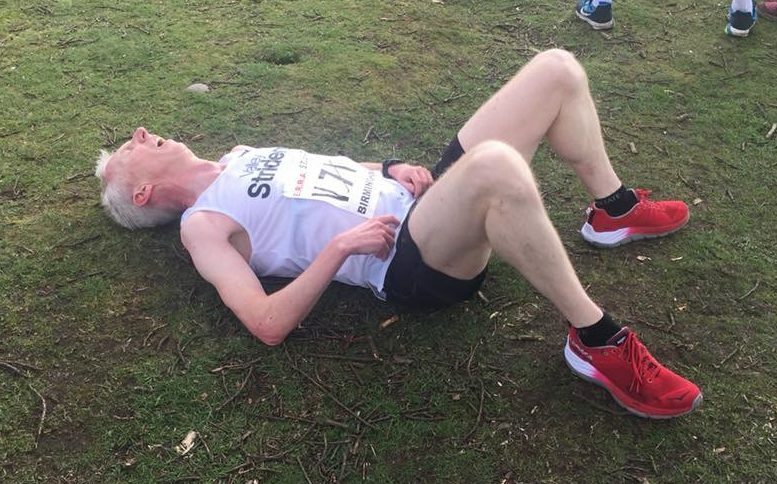 There are just over eleven weeks until my autumn marathon at Chester and it feels like a good time to crank up this blog again. I quite enjoy writing it and it helps me keep my eyes on the job in hand. The last blog post was about the London marathon on April 26th. As is the custom, the post spring marathon training hasn’t been without injuries and hindrances. I am yet to perfect the art of the recovery. I had a great time at London, made especially memorable as I had Liz with me as a non-running supporter. In the past, she has twice run from the Championship start at London, but hasn’t been focussing on long distances in recent months. I knew that she would love to run London again in 2018, and with me already qualified with the GFA (Good for Age) standard, we looked at the options. Realistically, gaining a Championship standard for 2018 was not on the cards for her at the moment, so the only option was to try to bag a GFA time (sub 3:50). The deadline for achieving a GFA standard for the 2018 race was 1 June 2017. It was already early May and a quick look at the race calendar indicated one prime opportunity – the Liverpool Rock ‘n’ Roll Marathon on May 28th. Could she do this with no specific marathon training and only a limited amount of running over the past few months? Maybe, maybe not, I thought, but why not have a crack, it would be fun to find out. She wasn’t so sure, but in my mind it was a classic no lose situation – at best she would run the qualifier and bag a London place; at worst, we would have a weekend away and a fun run around a pretty cool city. I assigned myself domestique duties – I would sort logistics, fetch the drinks and worry about the pacing, all she had to was run and see what happened. We had fortune with the weather, it was pleasant – warm, but not too bad. We needed to average 8:46 miling in order to make the standard. I knew Liz would be fine for the first half, the only question was could she keep it going in the later miles without having any long marathon training runs in her legs. We reached halfway bang on 1:50 (3:40 pace) – just as planned. The route was rolling rather than flat and had wended its way through the Northern part of the city. We passed both premiership football grounds at either end of Stanley Park before returning to the city centre for a second Southern loop out through Princes and Sefton parks. The route finished with a long four mile slog back along the promenade from Aigburth back to the finish in the Albert Dock. Unsurprisingly, by Sefton Park deep into the second half, the pace was slowing. Our ten minute halfway buffer was being gradually eroded. I tried to keep Liz positive, though I could tell that it was starting to hurt. As we hit the promenade, I worked out that we had to run the final four miles in under 37 minutes. However, our average pace had slowed to 9:30 and we weren’t likely to speed up. Gulp, it was going to be mighty close. We certainly couldn’t afford to stop running at any point. Liz was flagging, but dug in brilliantly, I didn’t dare tell her just how desperately close it was until inside the last mile. With about 400m to go, we thought that we spied the finish barrier just up ahead and with relief I thought that we would be in by a good 30 seconds. Frustratingly, this was an optical illusion, the real finish was another 150 metres or so further on. Liz knew that she had to give it everything and with a brilliant dig-deep sprint she hit the line in 3:49:56…making the standard by a massive three seconds. It was a superb effort and a great achievement to make the GFA standard off very limited training. I was very proud. Later that week I ran in the Apperley Bridge Canter, a local multi terrain 10K race. My ankle had been feeling sore since the marathon and although I ran an OK time, by the finish I had completely gone in the fetlock. The following morning I had a badly swollen ankle and couldn’t walk without difficulty. A month later and following a visit to the physio, I was able to run (slowly) again. I am definitely not race-fit. I turned up at the first Even Splits 5K race recently. It was held on the cycling track at the new Brownlee Centre a couple of weeks ago. On what should be a potential PB course, I struggled round in a time outside 19 minutes (my PB is 17:30). Hmmm, I have a lot of work to do. I’ll have another go at the second race in the series on Wednesday next week, hopefully I’ll go a bit quicker. I have eleven weeks to get as fit as I can and hopefully run the best marathon of my life wearing a National vest. Somewhat conveniently, I have the summer off work (my employer generously awards a 12 week sabbatical after 10 years of service). However, I am not going to be able to do much running in the first two weeks of August because I will be away on a trekking and safari holiday in Tanzania (primarily to climb Kilimanjaro). I’m hoping that just being at altitude for a prolonged period will be a good substitute for marathon training. I’ll try to keep the blog going once I am back from Tanzania.